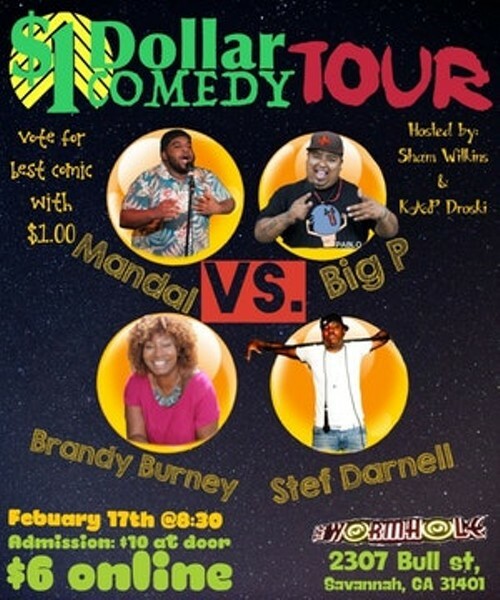 The One Dollar Comedy tour will consist of 4-6 comics each with 14 minutes. The audience will vote for the funniest comedian with a one dollar vote. There is no limit to how many votes audience members can make.